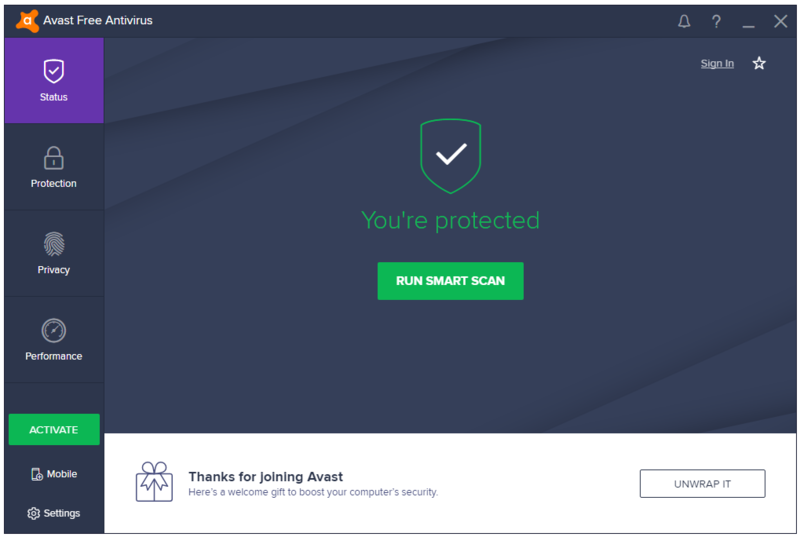 Home » PC » Antivirus & Security » Avast Free Antivirus 2019 Review – Essential Lightweight Protection for Windows 10. 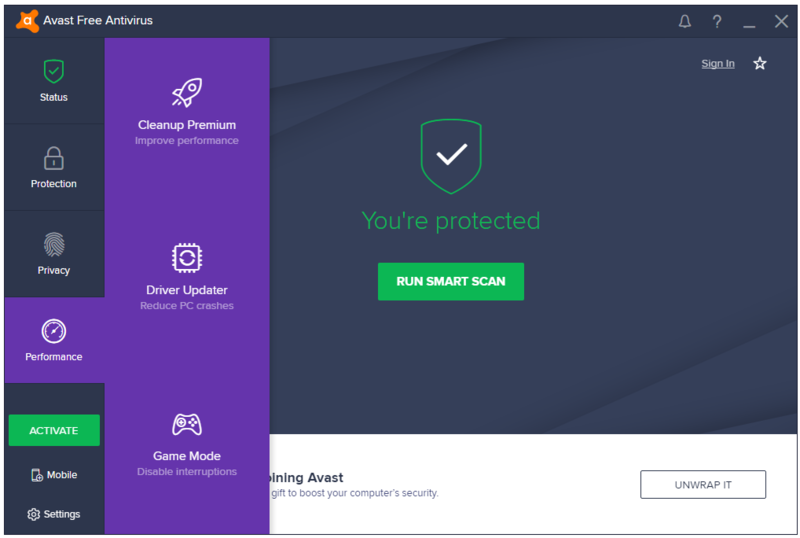 Avast Free Antivirus 2019 Review – Essential Lightweight Protection for Windows 10. 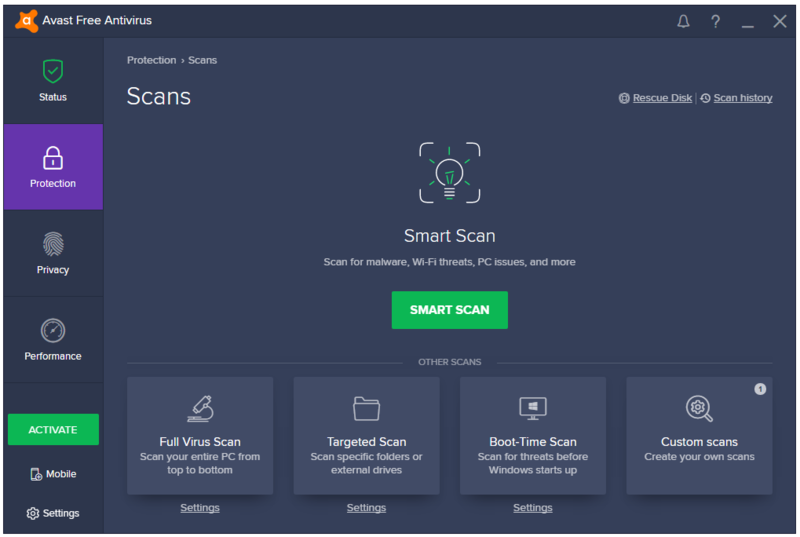 Best Free Antivirus Products for Windows PC in 2019 – Avast Free Antivirus. Avast Free Antivirus protects against viruses and other malware using their famous antivirus engine and other technologies. There are various security-related tools in this program, and there are settings for everything. You can customize this program to your liking. Avast is a crowd-pleaser, and constantly tops free antivirus lists. Since the ownership of AVG, Avast’s detection ratio has gotten even better as now it has AVG’s signatures as well in their database. 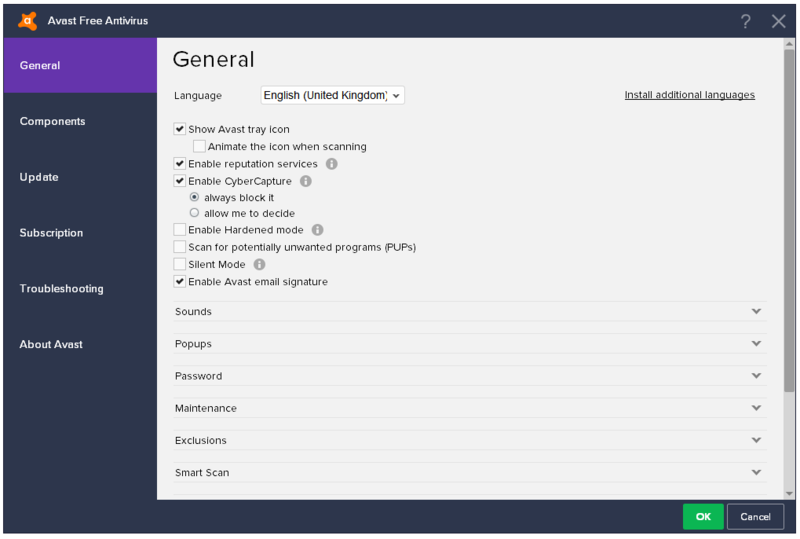 Avast Free includes a Cloud scanning technology called CyberCapture, which helps them keep their antivirus light on user system resources. Avast now includes AVG’s Bahaviour Shield inside their product, which means a much better malware detection. The dedicated Ransomware Protection component is not available in the Free version. In the December 2018 report of VB100, Avast Passed the VB100 test. Avast is a winner of the AV-Comparatives Advanced+ award. 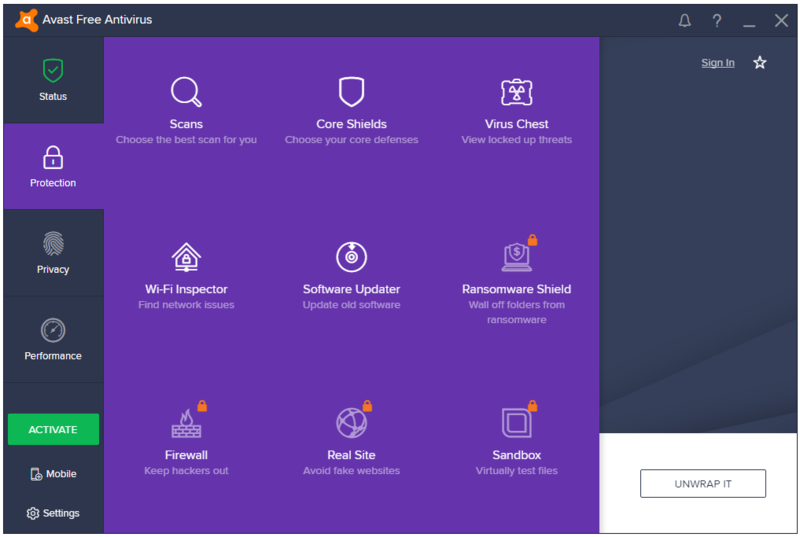 The Home screen of Avast has organized all of its features into four categories, which can be accessed by the four buttons placed in the program sidebar. The Status button is your way to the Home screen of the program. It displays the messages about system’s status – is there are any issues, threats or it everything is protected. The Protection tab displays all of the computer security and protection related Features and Tools of Avast. The free users have access to the following five. Scans – Displays the Scans window. Core Shields – Displays the Core Shields included in the program. 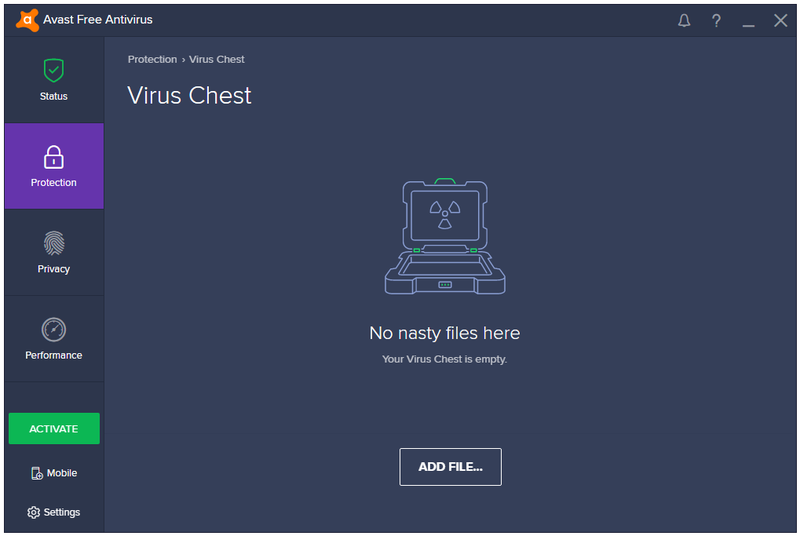 Virus Chest – Virus Chest is the name of Avast’s Quarantine feature. Wi-Fi Inspector – It diagnoses the Network related issues on your computer. Software Updater – It updates the other software installed on your computer from the older versions to their latest ones. Only Passwords is a free tool provided by Avast in the Privacy category. Rest of the tools are either paid add-ons or available in their paid Pro version. Under Performance, only the Game Mode feature is available to the free users. Others are paid tools. The Settings button placed at the bottom of the sidebar open Avast’s Settings. A full set of Scan options are present here – Smart Scan, Full Virus Scan, and an option called Other Scans that links to other advanced and customized scans. 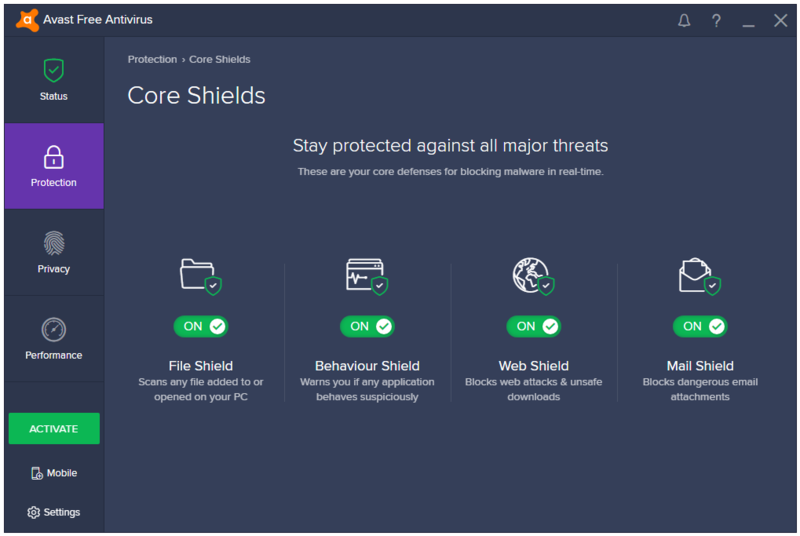 Four types of Protection Shields are included in the free version – File Shield, Behaviour Shield, Web Shield, and Mail Shield. These shields protect the user computer and data from all kinds of malware. Virus Chest the name of Avast’s Quarantine feature that stores the detected malware. Hard Disk Used: The installer is around 250 MB in size. After installation and an update, the Avast Free Antivirus uses around 1.50 GB of the disk space. 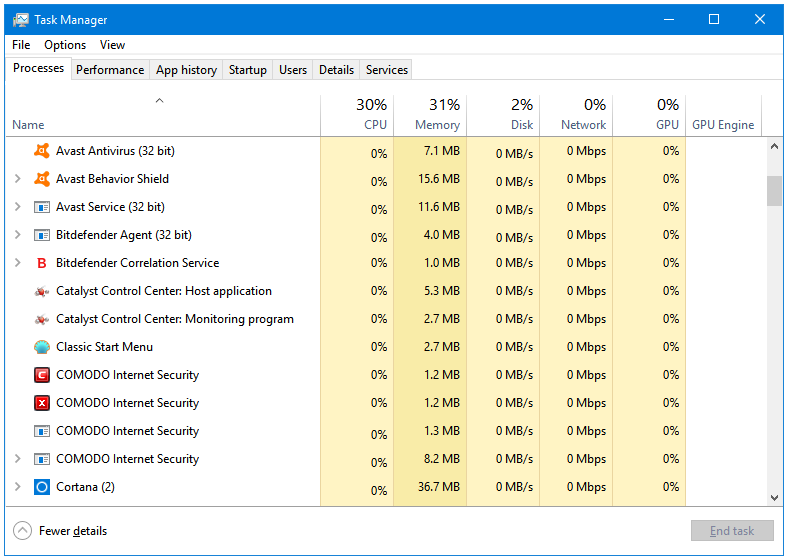 CPU and RAM Usage When Idle: Avast is known for being light on system resources. It uses only about 30 MB of RAM when it is idle. The CPU usage is stable at 0%. 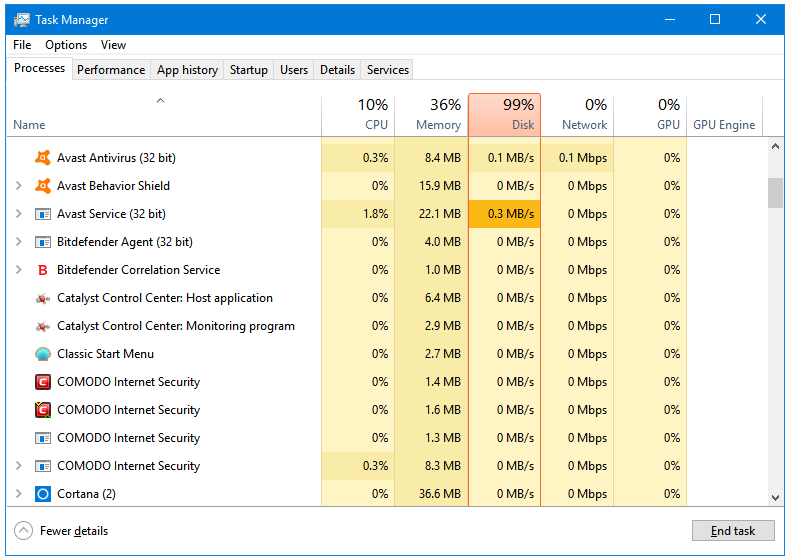 CPU and RAM Usage When Scanning: Even you are performing Full scan with Avast, it only uses around 50 MB of your RAM. The CPU usage is also very low; it fluctuates between 2 to 8%, and is stable at around 5% for most of the time it is scanning. The User Interface of Avast is one of the best in the Free Antivirus Category. It uses a nice colourful flat theme. All of the tools open in the same window. You can access most of the product features right from the Avast Sidebar. However, it does not have the skin support. On the other end of the spectrum, Avast uses some non-user-friendly tactics to make its users click on their paid features and tools. For example, after installing the Avast Free Antivirus, when you visit their sidebar to go through their features, you’ll notice that none of the paid tools or pro features are distinguishable from the free ones. In fact, an informed user or a first-timer to Avast will think that there are so many wonderful features in Avast’s free product. However, that’s not the case. Dig deeper, and you’ll find out that out of the nine features listed in the Protection section, only five are available for free. And, only one each out of the six and three listed in the Privacy and the Performance sections respectively are available to the free users. 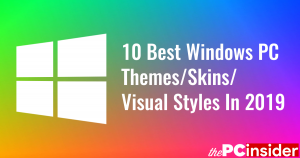 There are various messages about their paid products at the bottom of the main window and the sidebar of other windows. They constantly remind you to consider purchasing their premium products. Avast uses deceptive methods to make users click on their paid tools and features, and they make it difficult for their uses to distinguish the free features form the paid ones. They have created an outlook for their product that suggests that it is full of features, which, in reality, it is not. Everything related to these methods has been covered in the previous section. It tries to install Google Chrome during its installation. Avira Free Antivirus 2019 Review – Essential Complete Protection for Windows 10. 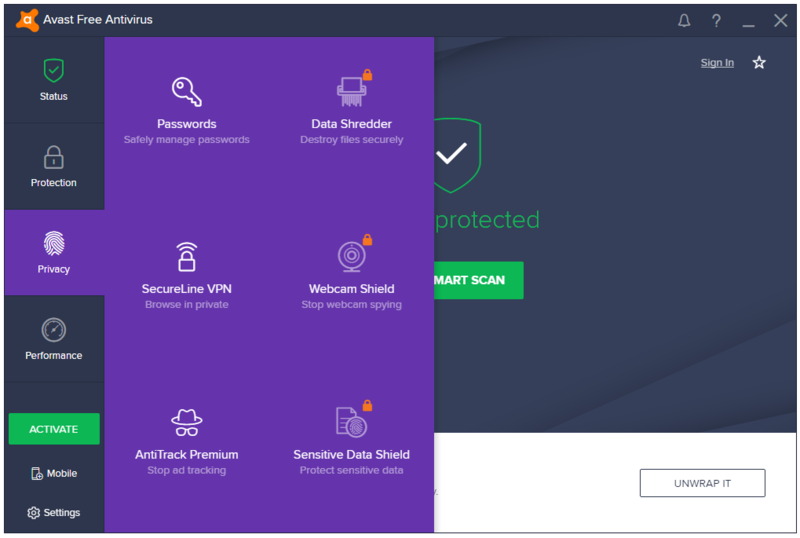 AVG AntiVirus Free 2019 Review – Essential Lightweight Protection for Windows 10.